Paperless Ticketing. Venue & Tournament Management. Guest Check-In. Custom Apps. Intelligent Analytics. "The Saudi startup that built Sharek, KSA's first official interactive sports platform." Organize, publicize and analyze. The HYBP advanced dashboard allows you to create and manage your events in the most convenient way there is. Custom built apps to increase your sales. Stand out from all other event organizers with your very own mobile app, custom branded with online booking and payment capabilities inbuilt. Fill your events and sell more tickets. Reach a new market segment and sell tickets on the go. Don’t bound yourself to selling ticket through select shops & outlets. HYBP will process payments and issue tickets in just a few clicks. Checking-in is as easy as scanning a QR code. A unique QR code will accompany every ticket issued through the HalaYalla ticketing system to ensure a flawless check-in experience. Indoor maps wayfinding features with location based notifications. Help your event attendees find and explore different places inside your venue and send tailor notifications once they visit these places. Create, promote and manage events simply by tapping your phone a few times. Got Venues? List them on the HYBP app and easily manage them! Getting the attention of the masses has never been easier with access to HY’s ever growing user base. Having years of experience managing a corporate league in a major North American metropolis, our professional and skilled team are extremely excited to ofer a similar exciting and competitive platform to our fellow Riyadh dwellers. The app is a lifesaver. I used to have to do everything (sales, marketing, match scheduling, etc.) across different platforms which would take up so much of my time. I would chase up teams personally to pick up registration fees or call up each team captain to make sure they got the latest changes to the schedule. With HYBP everything is so much faster, giving me more time to concentrate on delivering a better quality experience for players and audiences. And because it's so easy to use that I can train employees to use it without any hassle, something that would've been impossible to do with the old methods. Get HalaYalla for Businesses Now! Our sales representative will get in touch soon. Thank you for your interest. 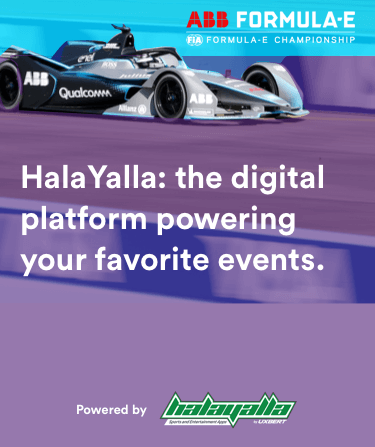 Download the HalaYalla app now!